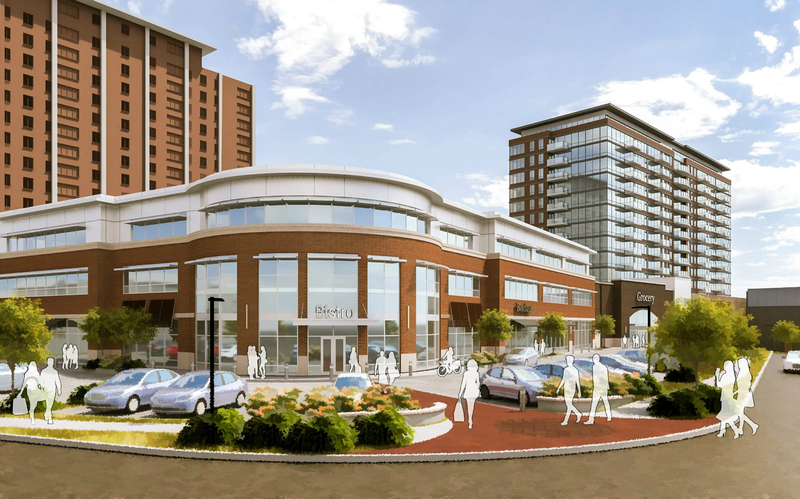 Opus Development is planning at $41M mixed use project at North Central and Maryland Avenues in downtown Clayton. The developer has two parcels under contract for the six story, 210Ksf building that would house 120 one and two bedroom apartments, 13,500sf of street level retail, and 145 below grade parking spaces. The project spans nearly half a block on Clayton’s central commercial strip. The storefronts have been vacant since a failed effort to build a 245 room Westin hotel and retail development. That effort included retail development on the north side of Maryland Avenue as well. 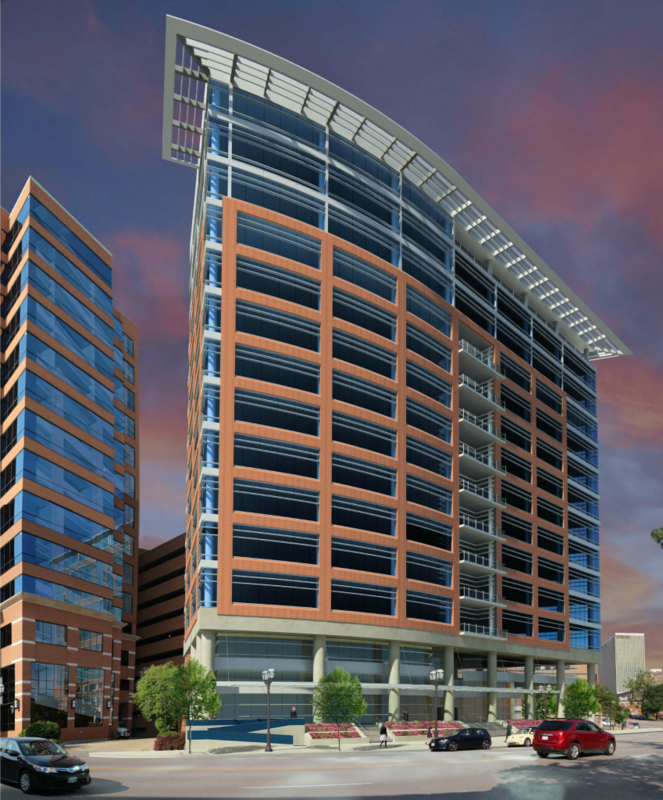 The Crossing (212 S. Meramec) will be CA Venture’s first project in St. Louis. The “CA” is abbreviation for Campus Acquisitions. With nearly 30 U.S. and Canadian student housing projects, the company looks for development opportunities in metropolitan areas with large universities that are lacking in residential housing for students. Chesterfield-based HDA Architects is design lead for the project. The new 250-unit glass-and-aluminum tower will feature a rooftop swimming pool, ground-floor retail, and four levels of underground parking. 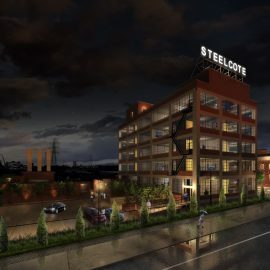 In December of 2013 nextSTL was first to report on this development. A mid-rise development at the edge of Clayton may add to that city’s mounting residential boom. The $55M, 229-unit Vanguard Clayton development is set to be built on land once envisioned as part of a massive mixed-used project anchored by Brown Shoe Company. The property at 8500 Maryland Avenue is under contract by Covington Realty Partners. Brown Shoe sold the property in 1994, buying it back in 2007 from the Sarah Lee Corporation, which moved its offices to suburban Chicago. 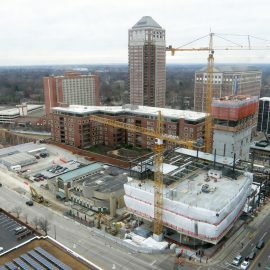 The larger project was shelved in 2008 amid the broad economic downtown. It was planned to have 1.25M sf of office space, 300 condos, a hotel and 70,000sf of retail space on 12 acres. Vacant for nearly two decades, the prominent corner of Clayton and Hanley Roads may finally be redeveloped. Planned is more than 500Ksf of retail, including a grocer, more than 40Ksf of office space, and as many as 291 residential units. 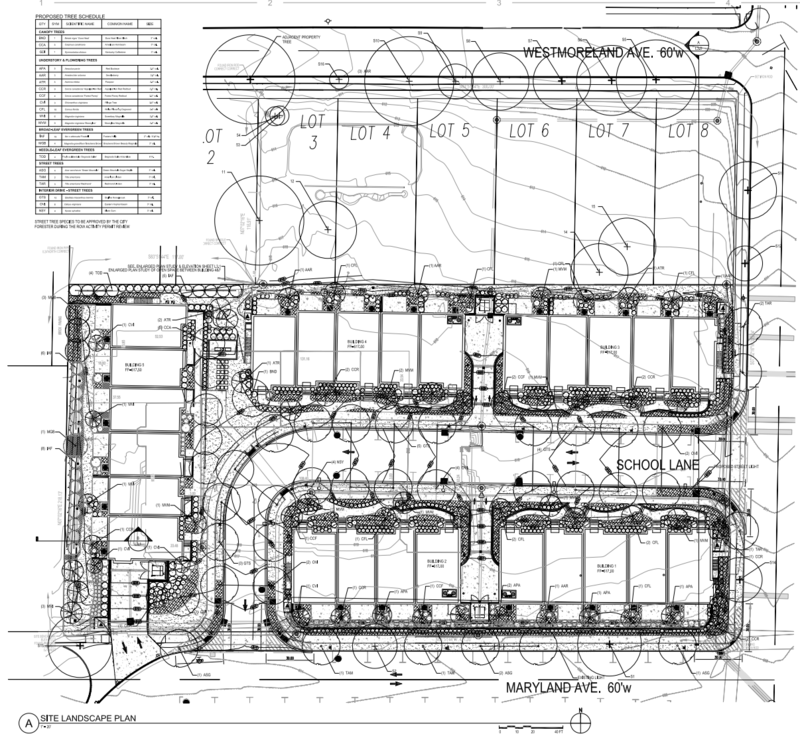 GBT Realty Corporation of Nashville, Tennessee enlisted HDA Architects to complete preliminary design work. 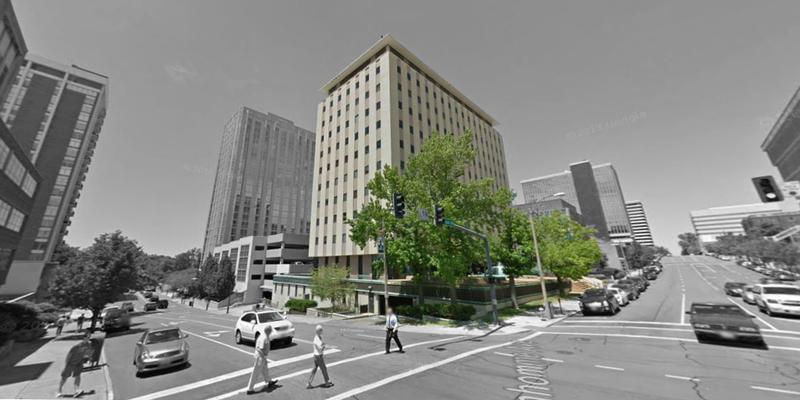 A proposal in 2009 envisioned more than 100Ksf of office space and a 200-room hotel. The GBT plan is almost a mirror image of that proposal, which placed an office tower at the busy intersection. Apogee Associates, LLC is proposing a $68M, 14-Story, 233K sf Class A office building at 8125 Forsyth in downtown Clayton. The authorized agent of Apogee is listed as Jared Novelly, the head of Crest Management which manages the adjacent Merrill Lynch Centre at 8235 Forsyth, Region’s Centre at 8182 Maryland Avenue, and the Lawyer’s Title Building at 8230 Forsyth. The site at 8125 has long been speculated as a building site for an office tower. nextSTL reported in 2013 that plans were progressing on a then-~200K sf building. ACI Boland Architects remains the designer for the project. 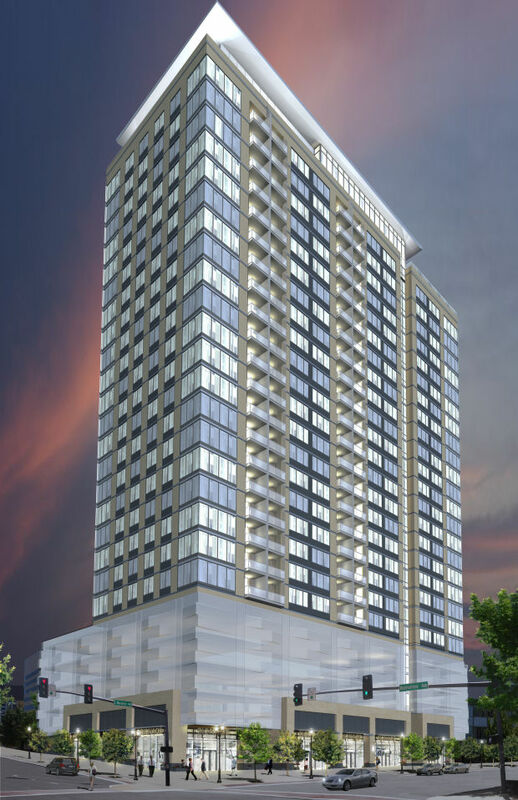 The building will be connected to the existing parking garage situated behind adjacent buildings occupying the block of towers. The City of Clayton has worked with SWT Design to create a plan to transform the northeast corner of Shaw Park. The refined plans, which will be reviewed by the city’s Architectural Review Board at an upcoming meeting, closely mirror those depicted in the park’s master plan, also by SWT. Chapman Plaza, as the north entry is titled, would lead to a cascading water feature and pond. The project is part of a first phase identified in the park’s master plan. Phase II could include “Century Garden”, a new eastern entry to the park, with an additional phase introducing an adjacent new multi-purpose facility. A Harris Armstrong designed residence, long altered and converted to a office space with a small apartment at 121 N. Brentwood Boulevard in Clayton, is currently under demolition. 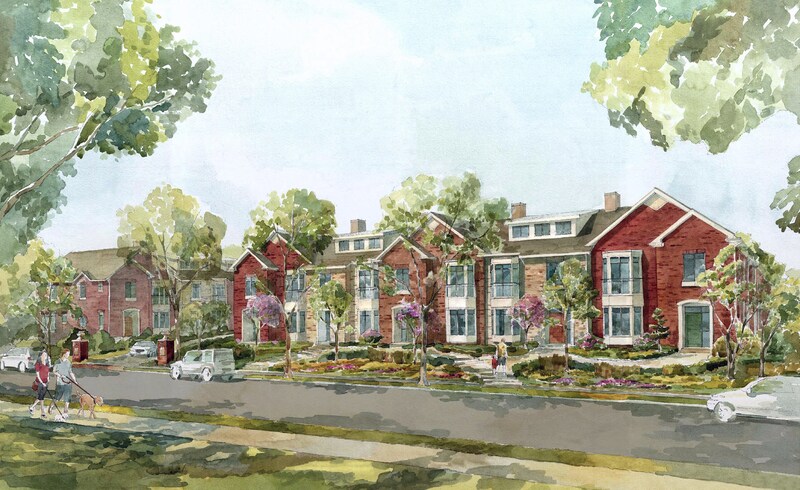 Conceptual plans by Michael Lauren Development LLC and the Lawrence Group call for a $3.6M four-unit townhome development on the site. The well-known white stucco building at the corner of Westmoreland Avenue and Brentwood Boulevard, just north of Maryland Avenue, had been vacant for several years. It was purchased by the developer in September of last year for $665K. 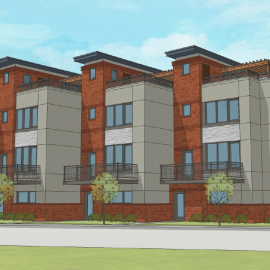 Plans have been submitted for review by the Clayton Architectural Plan Commission for a $10M, 78-unit apartment complex on the site of a now demolished Art Deco building. That building was removed in 2014 and the site has been vacant since. 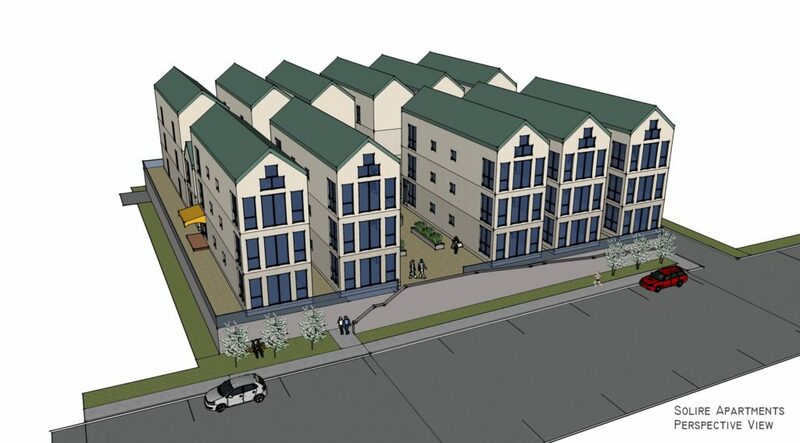 The proposed apartments are a “Millennial” project, a reference to the small unit sizes proposed. There would be 28 units under 400sf, 30 just under 600sf, and 22 at 800sf in the 3-story, 50ft building, just east of Clayton’s central business district at 15-23 Lee Avenue. We’ll wait along with everyone else until images are shared, but the application isn’t completely devoid of information. 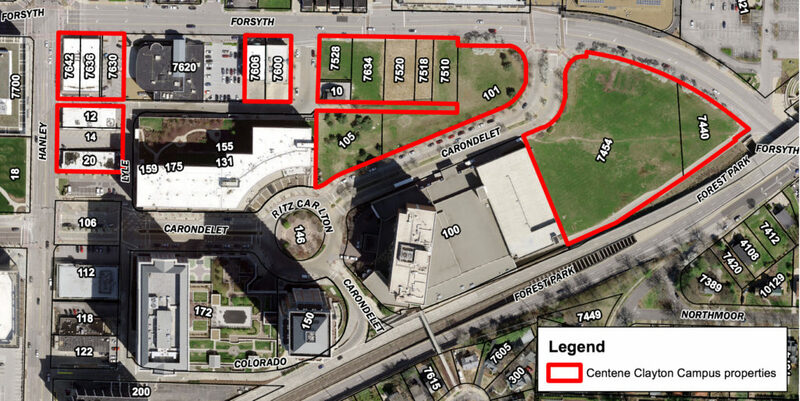 It confirms that plans are in place for Centene’s expansive holdings along Hanley Road and Forsyth Avenue in downtown Clayton. The Family Courts Project in downtown Clayton is finally nearing completion. The $122M, 152K sf development remains roughly on schedule for the late 2016 opening date set a couple years ago. KCI Construction of St. Louis and Fentress Architects of Denver were selected for the design-build project. 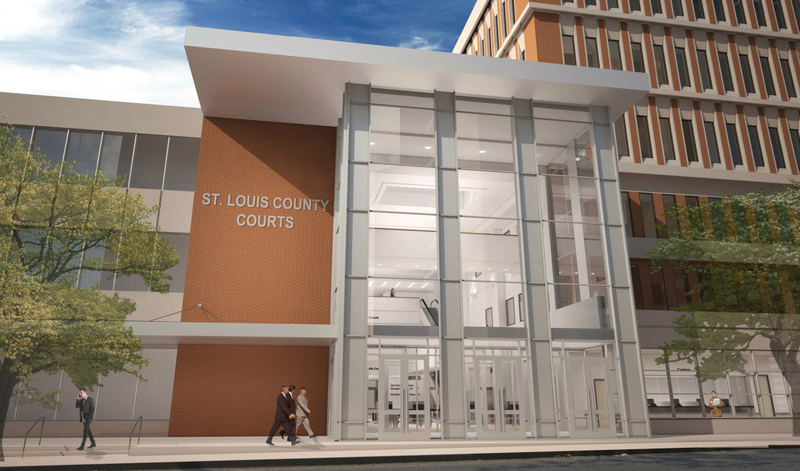 According to information released by St. Louis County, existing facilities experienced significant renovations, and office space was expanded, in addition to the new building constructed at Central and Bonhomme Avenues atop the court’s existing parking garage. 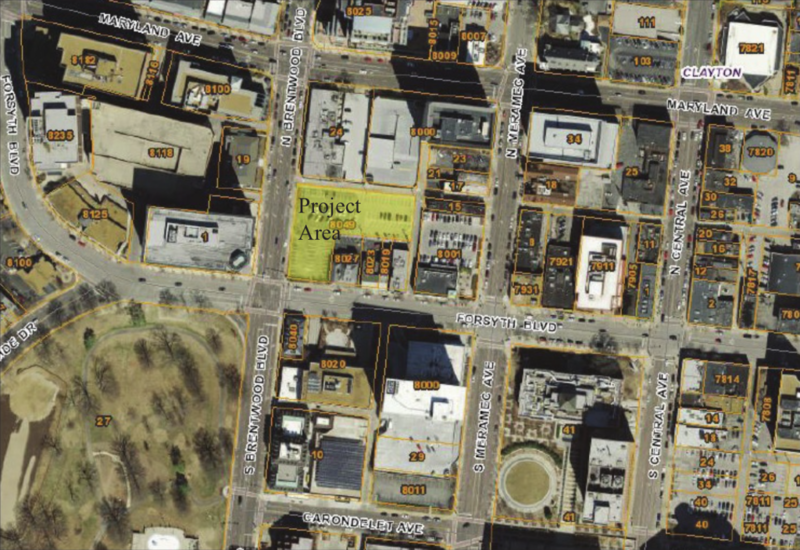 According to the Post-Dispatch, Apogee Associates, LLC has plans for more development in Clayton. 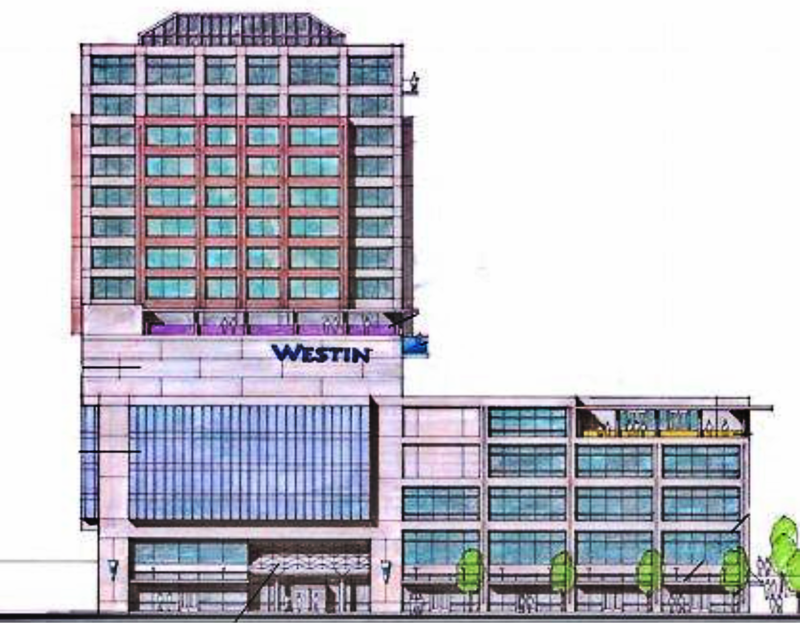 Just a half block east of the proposal feature above, Apogee imagines a 230-room Westin hotel, 62 residential units, 200K sf of office, and “high-end luxury brand shopping”. 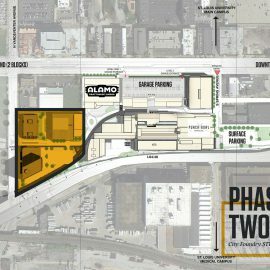 An ice arena and amphitheater is proposed in nearby Shaw Park. 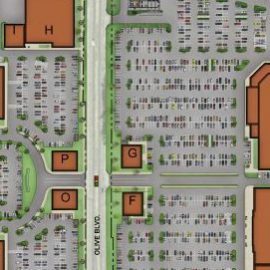 The ideas represent just one proposal submitted to the City of Clayton in response to a Request for Qualifications for the city-owned lot at the northeast corner of Brentwood and Forsyth Boulevards (embed below). It is the only plan, according to the Post-Dispatch, for which details were available. 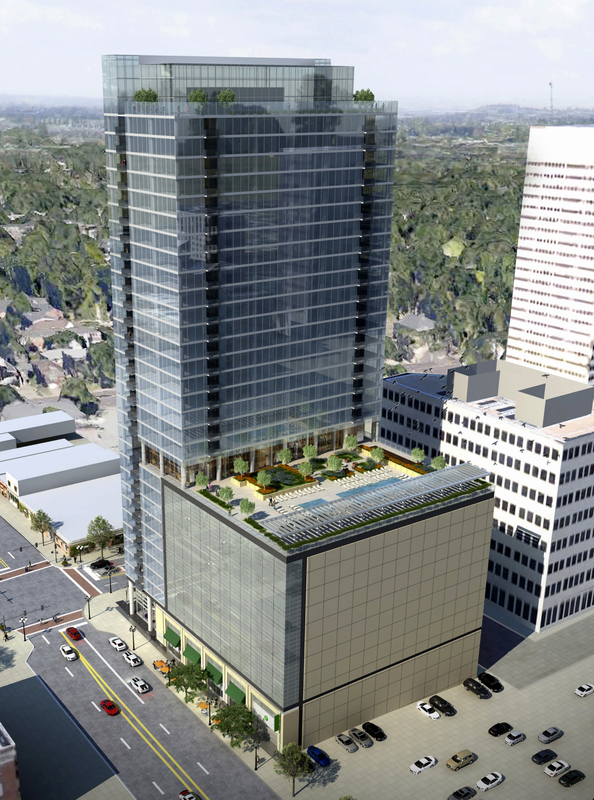 A revised design for the $100M Montgomery Tower at the corner of S. Central Avenue and Forsyth Boulevard has been submitted to the City of Clayton. New plans by the architecture firm Solomon Cordwell Buenz out Chicago reveal a 31 story, 546K sf, glass apartment tower with street level retail. In January, this site was first to report the nearly decade old project had been revived. At the time, Joel Montgomery Jr. of Webster Groves-based Montgomery Development told nextSTL that market conditions were favorable for a high-quality apartment tower, and that he was optimistic about moving forward in 2014.
nextSTL has learned there are plans for another new residential building project in downtown Clayton. 100 units are expected to be developed by the Koman Group at 121 S. Meramec, site of the former World Trade Center and Seven-Up Buildings. According to nextSTL sources the commercial real estate firm has reached an agreement in principle with St. Louis County regarding the development site. In 2013 the 13-story 210,000 sq. ft. building, constructed in 1964, was designated for demolition. An adjoining building, also formerly owned by soft drink maker Seven-Up, was also set to be leveled as part of the neighboring County Courts $130 million expansion and renovation. The Koman Group is now expected to re-skin the exterior and completely overhaul 121 S. Meramec property inside and out. The Clayton City Plan Commission & Architectural Review Board recommended the city’s Plan Commission approve the project at a meeting Tuesday. The commission instead recommended by a vote of 6-1 that the Clayton Board of Alderman reject the requested rezoning. The vote likely ends the effort to build townhomes at the long vacant school site. The latest iteration of the development plan is below. It would have placed six single-family homes across from existing single-family homes, and 25 townhomes facing a surface parking lot and parking garage owned by Washington University in St. Louis. In short, a small number of immediate neighbors continued to demand that only single-family homes are appropriate for the vacant school site, which sits about a quarter-mile from the Forsyth MetroLink station and adjacent to parcels abutting Forsyth zoned as central business district. The outcome likely means only single-family homes development will occur here. If the school is demolished, approximately 14 lots could accommodate development.